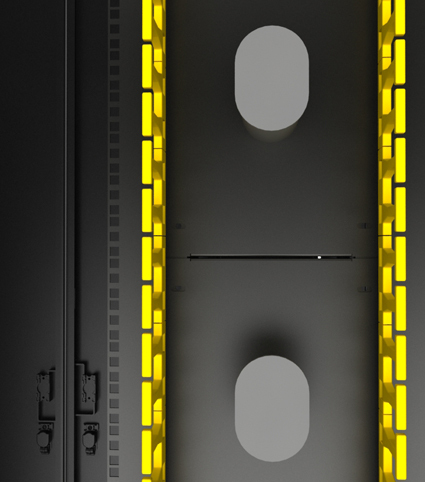 Help secure and route high cable-counts, converting internal vertical space into a large-volume cable management zone. Perforated hole for airflow and tie cable. 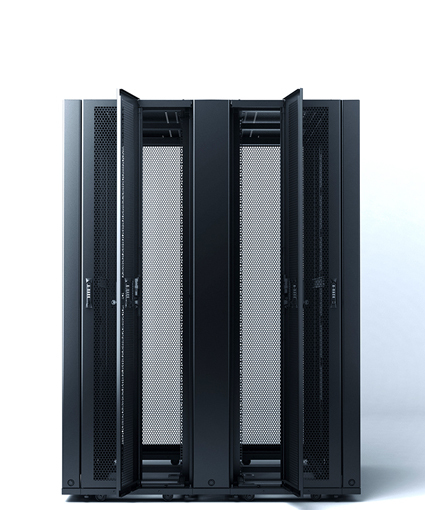 Fingers can be installed alongside each Zero-U vertical space to facilitated routing of cords between equipment as well as rack to rack connections. Split rear doors can be hinged open in both directions or removed, providing direct and unimpeded access to either the vertical patching zones or equipment areas. Split rear doors require smaller opening area, maximize user access in shallow hot aisles. Reduce the need for more expensive, longer cords. 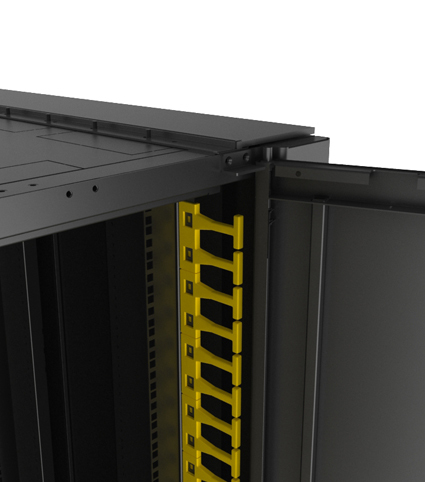 Decrease or even eliminate the use of patch panels in traditional 19” horizontal mounting space freeing this space for additional networking and storage equipment options. 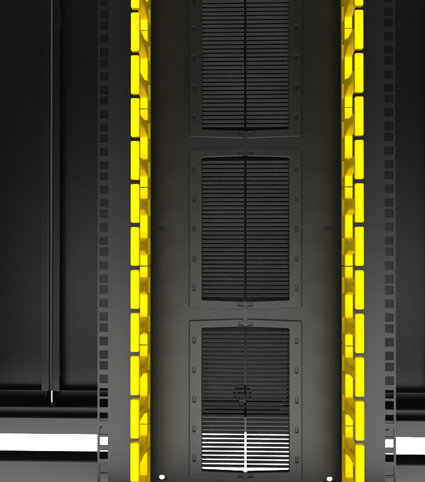 Improve overall airflow and cooling efficiency by moving cables out of the horizontal equipment mounting areas. Each unit has a completely open base , enabling maximum airflow and routing of cables into or out of raised floor pathway systems. At the top and base of the rack prevents internal re-circulation of air within rack to optimize thermal efficiency. 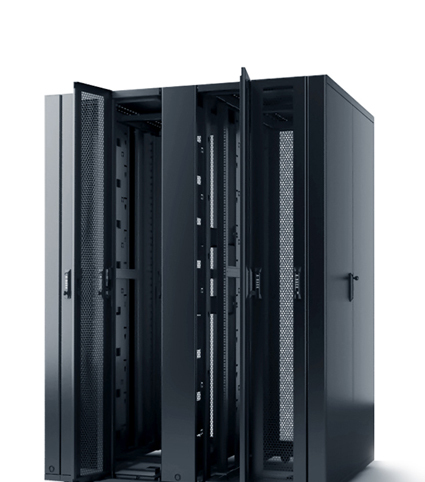 Rack leaves space between the frames and doors for optional cable management capacity.